Magnetic resonance imaging (MRI) is arguably the most sophisticated imaging method used in clinical medicine. In recent years, MRI scans have become increasingly common, as costs decrease. In this article, we will outline the basic principles behind MRI scans, how to orientate and interpret a scan, and address some of their advantages and disadvantages compared to other imaging modalities. MRI scans work as an imaging method due to the unique make-up of the human body. We are comprised entirely of cells which all contain water – principally made of hydrogen ions (H2O). The magnet embedded within the MRI scanner can act on these positively charged hydrogen ions (H+ ions) and cause them to ‘spin’ in an identical manner. By varying the strength and direction of this magnetic field, we can change the direction of ‘spin’ of the protons, enabling us to build layers of detail. When the magnet is switched off, the protons will gradually return to their original state in a process known as precession. 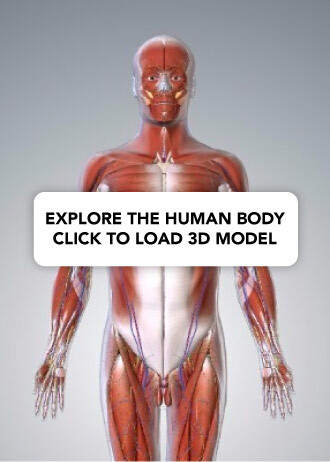 Fundamentally, the different tissue types within the body return at different rates and it is this that allows us to visualise and differentiate between the different tissues of the body. Fig 1 – MRI scanning is based on the excitation and relaxation of protons. Magnetic resonance imaging can produce highly sophisticated and highly detailed images of the human body. Generally speaking, MRI scanning is excellent for visualising soft tissue – and so it is often used in the detection of tumours, strokes and bleeds. It also can be used to visualise the functionality of suspected masses and tumours through IV, gadolinium-based agents. MRI scans have many advantages. As stated previously, they provide excellent detail of the soft tissues of the body, and they do not cause any radiation exposure to the patient. However, they are time consuming – averaging approximately 35-45 minutes to complete. This limits their use in trauma and emergency situations, where CT scanning is often preferred. They are also by far the most expensive of all the imaging modalities available. At present, there are no known long lasting adverse effects from MRI scans. However, MRI safety has recently become a major focus in hospital and outpatient environments due to the potential attraction to ferromagnetic objects and devices. Some medical and implantable devices are considered contraindications for MRI evaluation – such as cardiac pacemakers, heart monitors, defibrillators and other battery-operated devices. Fig 2 – The three main views obtained when MRI scanning. Left to right: Sagittal, coronal and axial. Note: It can help to remember that a T tWo weighted image shows Water as White. Magnetic resonance imaging can be used to assess the extent of cord compression, when there is a suspicion of stenosis, disc herniation or cauda equina. 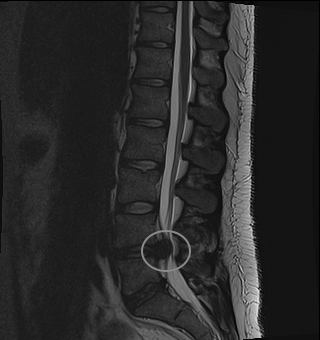 Fig 3 – Sagittal plane T2 weighted MRI Scan of lumbar spine, demonstrating disc herniation at L4/5 level. What is the key benefit to MRI? Why are MRI scans not used more commonly in emergency medicine?